This is what bike patrols look like. Photo: Violet Blue. While we all know that writers of Voter Information Pamphlets sometimes stretch the facts, they shouldn’t be allowed to just make stuff up, right? There is a completely false statement in the “Rebuttal to the Opponent” ballot argument for Prop. R, the Neighborhood Crime Unit proposition–it says that Prop. R would “significantly increase the number of beat cops and bike patrols assigned to our neighborhoods.” But the text of Prop. R makes no reference to bike patrols. It does say that bike theft is one of the crimes the new unit created by the proposition should focus on, but that’s not the same as bike patrols, is it? So what does one do if one finds a false statement in a Voter Information Pamphlet? It turns out the only way to challenge it is to go to the Superior Court and file a “petition for a writ of mandate.” So last week I filed one. You can read my petition. (Please excuse the typos in my rush to submit by the deadline. Blargh!) It includes the legal text of Prop. R and the text of the rebuttal argument. It’s a searchable PDF, so try searching the legal text for “bike” or “bicycle” and see if I missed anything. I’m for police bike patrols. 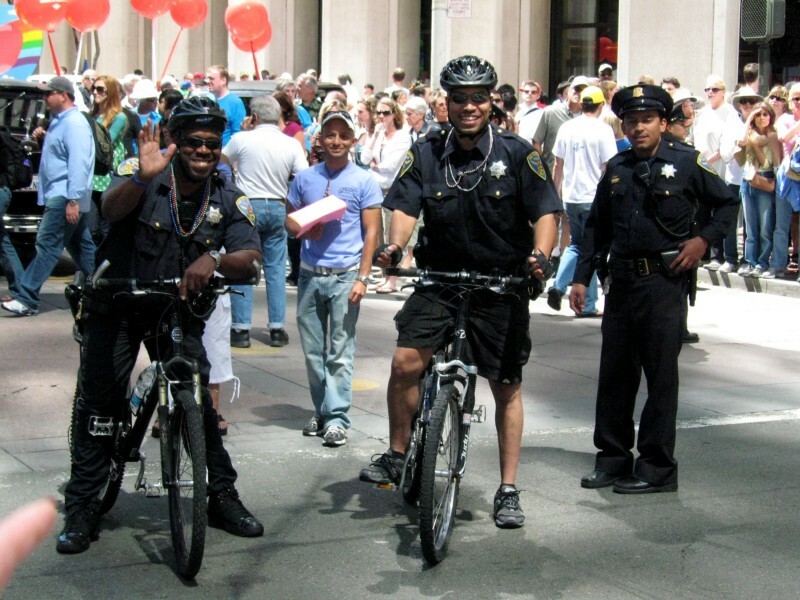 As a regular bike rider, bike advocate, and member of the San Francisco Bicycle Coalition, I think it’s great for police to share the experience of biking in the City. Bike patrols also seem like an effective middle ground between foot patrols and driving a squad car. But Prop. R doesn’t mention bike patrols and proponents should not claim it does in the Voter Information Pamphlet. Let’s hope the Superior Court agrees with me. Any lawyers out there interested in helping navigate this process? Setting aside the “bike patrol” issue, I oppose Prop. R because it’s poorly conceived policy. I fully support SFPD increasing its focus on foot patrols and community policing. But Prop. R will assign 60 officers to what is called a “Neighborhood Crime Unit” that won’t be assigned to neighborhood police stations — they would be a centralized unit based out of SFPD’s Mission Bay Headquarters. These officers would be required to coordinate with the Department of Emergency Management, Department of Public Health, Department of Homelessness and Supportive Housing, Human Services Agency, and other departments, as well as conduct recurring meetings with police captains, community members, and organizations. They would also respond to non-emergency 311 calls. It’s totally unrealistic to expect 60 cops (out of a department with nearly 2000 officers) to do all that AND walk foot patrols in every neighborhood! Assuming those 60 cops will be divided into two shifts and that they’ll walk foot patrols in pairs, that’s 15 foot patrol shifts to cover the entire city — when they’re not busy meeting with all those departments, community groups, district captains, or responding to 311 calls. I would enthusiastically support a proposition to increase police foot patrols and protect them against being reassigned to other activities, but Prop. R doesn’t do that. Either way, Prop. R proponents should not be allowed to claim that it increases “bike patrols” when it does not. Jeremy Pollock is a San Francisco political geek, bike rider, and bluegrasser. His life in twitter profiles can be reduced to @theLeagueSF, @saveSFbike and @BeautyOperators. Pollock is also an aide to Supervisor John Avalos, but is not filing the writ or writing this post in an official capacity. This post, which originally appeared on Jeremy’s blog, was edited. It’s entirely possible that “Prop. R would significantly increase the number of . . . . bike patrols assigned to our neighborhoods” even if the text of Prop. R makes no reference to bike patrols. Bike patrols may simply be chosen as one of the tactics to implement the goals of Prop R, and that is what Scott is suggesting here. The idea that unless an activity is explicitly cited in the text of a voter initiative then it can’t happen under its auspices seems bizarre. Reasonable people and voters can make their own determination as to whether more bike patrols are a reasonable interpretation of the intent of this change to the law. The idea is that we approve the principle of this and then the exact execution of it will be a matter for LE line management. Otherwise the wording of propositions would be a near-endless exhaustive list. If the argument, said “Prop R COULD increase bike patrols,” I would agree with you. But it makes a declarative statement that Prop R WOULD increase bike patrols. The sentence also puts “bike patrols” on equal footing with “beat cops.” Prop R explicitly references “foot patrols” four times in its seven pages. There is no reference to “bike patrols” or anything related. Any uniformed officer out on the street is a “beat cop” whether in a car, on a bike or on foot. But typically in the US beat cops have always been in (beat) patrol cars. If the idea of “community policing” means anything it is putting cops closer to the people in the community, and that typically means on foot or on bike. The classic British bobby on a bike comes to mind. The voters are surely smart enough to understand how more community policing potentially means more cops on bikes without it being spelled out to them like they were seven years old. Honestly, I haven’t decided how to vote on this, and my default vote on propositions is usually “NO”, especially if it means more spending, borrowing or taxes. But on R I won’t agonize over exactly how many more or less bike patrols there may or may not be when deciding which way to vote. It’s more about the high-level principle of getting cops out of their patrol cars and closer to the people. how is this post relevant to transportation issues. since i moved to sf i can now tell the difference between gun shots and fire crackers. fun fact: if you hear explosions in a semi random pattern and there are 8 of them — it is a gun! I don’t know how I am going to vote on this prop but rest assured, it will have nothing to do with bikes. My experience with bike cops in Oakland is, despite the best intentions, they focus all their efforts on bicyclists and pedestrians. Heinous crimes such as jay walking, rolling through a stop sign on a bike, briefly riding on the sidewalk (You know…. when the place you want turns out to be on the next block); all become a big issue with bike cops. Meanwhile motorized mayhem continues on the road. on the topic, it’s disingenuous to claim that it will happen if the proposition is enacted. Honestly, it’s hard to get worked up about the issue either way, and I do feel that this is more of a seven-dimensional chess game being played between SF political factions than an actual concern, but if something “may or may not” happen if Prop R passes (and could equally happen or not happen if it is defeated), it’s stupid to use that as an argument in favor of the measure. No reasonable person would think that “more community patrols” means more cops in ice cream trucks. The reasonable interpretation is that it means more foot and bike patrols. And it’s reasonable to allow SFPD some freedom in exactly how they implement that balance, depending on circumstances. Also, All Scott did was provide an “argument” supporting R. And as such, it is naturally open to rebuttal and counter-arguments. Scott was simply talking about how R would allow for more bike patrols, which it clearly would – certainly more so than the opposite – voting against more community policing. And like you, I’m not taking a side on R. I don’t know and I probably don’t care. But trying to suppress one advocate’s interpretation of what it will mean does not serve democracy. Voters are entitled to hear that view, and any others, and then decide. This is a tempest in a teacup, in the grand scale of things. What are leading advocacy organizations recommending on relevant ballot initiatives?